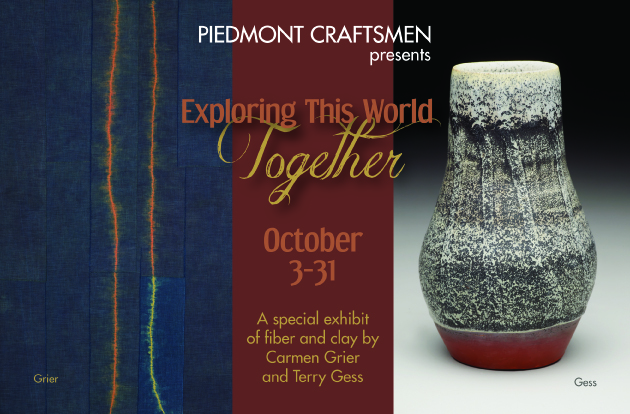 Piedmont Craftsmen will present "Exploring This World Together" in October. This special exhibit will feature naturally dyed wearables and wallhangings by Carmen Grier along with functional pottery by Terry Gess. This married couple lives in Bakersville, NC and the exhibit will run Oct. 3-31 with the opening reception during the Oct. 3rd gallery hop from 7-10pm.